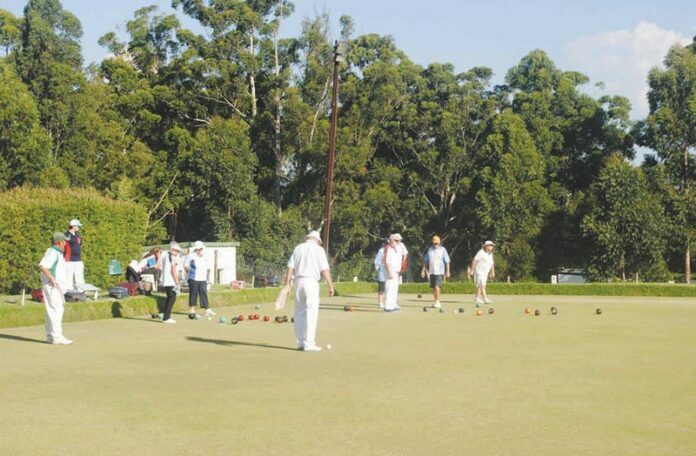 On Saturday, 24 March, and Sunday, 25 March, the Piet Retief Bowling Club was host to the Natal Bowls finals. Twelve men’s and ladies teams, consisting of two players each, from Newcastle, Richards Bay, Vryheid, Mtunzini, Ladysmith, Harrismith and Midlands took part in the tournament. No players from Piet Retief qualified for the event during the play-offs held on 20 and 21 January in Newcastle. Urcilla Mulder and Karlien missed the qualification with one point. The tournament was held in a round robin format and the winners are as follows: Second place men – Mtunzini Second place ladies – Richards Bay First place men – Vryheid First place ladies – Midlands The club president, Urcilla Mulder, would like to thank every club member who helped make this day a success. William, Errol and Donald helped build the seating area and further helped out wherever a hand was needed; Ernst and Ryan did repair work; Flippie helped at the bar; Brendon worked as umpire and Errol and William did maintenance on the green. Thank you also to each and every one who helped with the preparation and serving of the food. This event was a huge success and the larger clubs can definitely learn from the locals how to ensure that a competition runs smoothly.